Three Deer Park science teachers were recognized for finding innovative ways to deliver quality lab experiences to students. 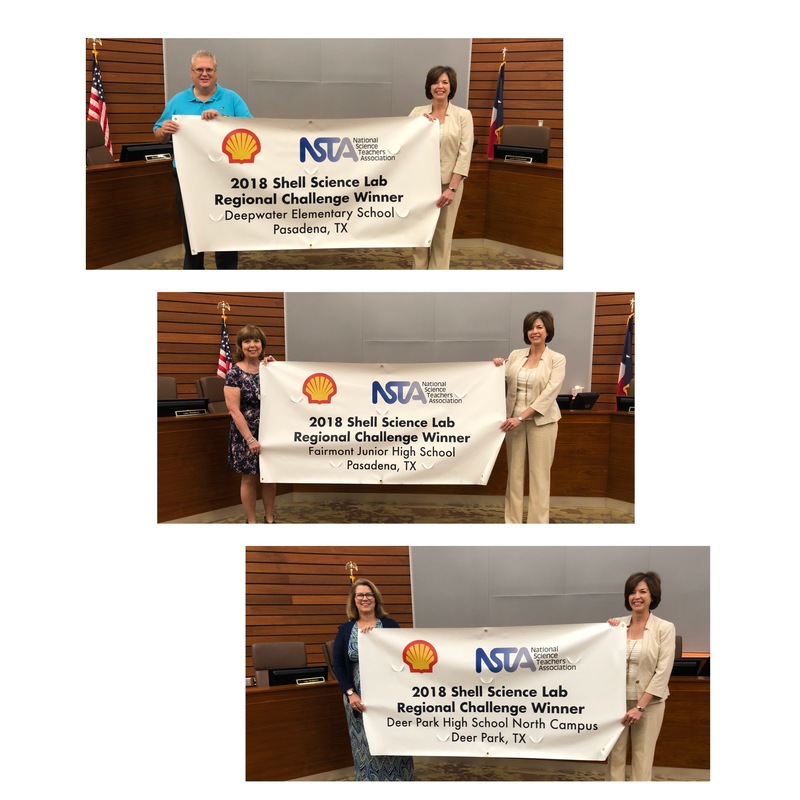 Local winners are Carol Voight, Judith Janes and Barry Smith, science teachers at Deer Park High School North Campus, Fairmont Jr. High School and Deepwater Elementary School, respectively, of Deer Park Independent School District. The regional winners each received a school science lab makeover support package valued at $10,000 (for the elementary and middle levels) and $15,000 (for the high school level). 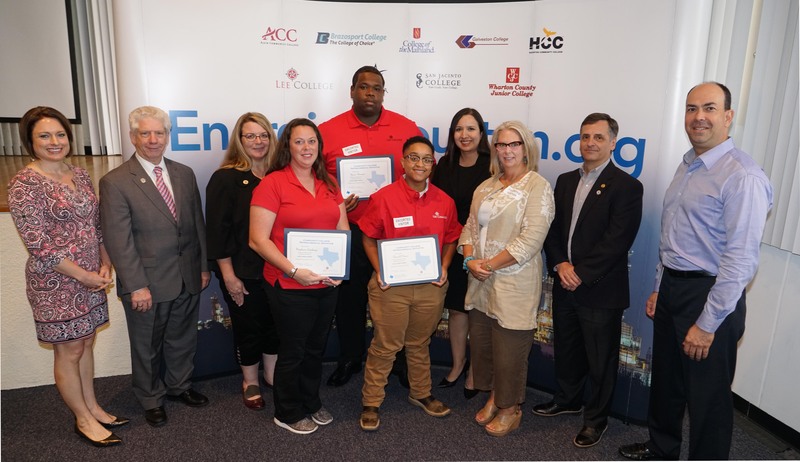 Representatives from ExxonMobil and nine Houston-area colleges partnered with the Community College Petrochemical Initiative (CCPI) to present $45,000 in scholarships to 39 students. The program, entering its sixth year, supports efforts to prepare thousands of local residents for high-paying jobs in the chemical manufacturing industry. 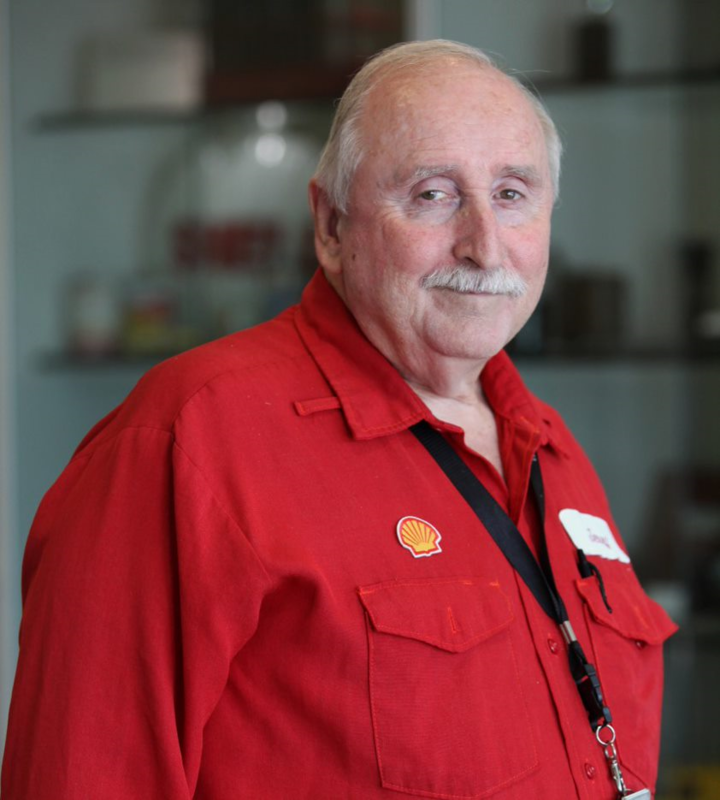 Since the program’s launch, ExxonMobil has contributed more than $2 million toward training new workers. 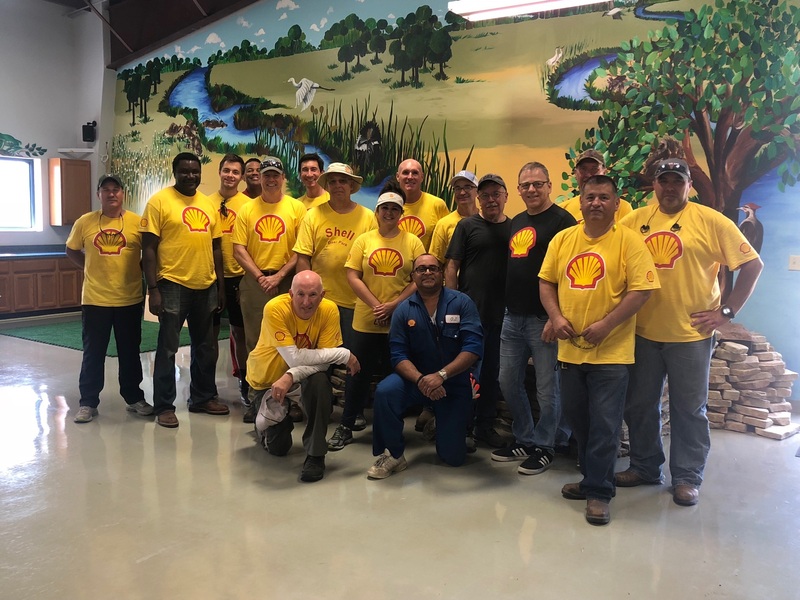 LyondellBasell’s Houston-area employees and their families completed a long list of service projects, helping improve and revitalize communities for the 19th annual LyondellBasell Global Care Day. This project is a worldwide initiative with staff from 67 sites or locations around the globe donating their time and energy to create a sustained impact. 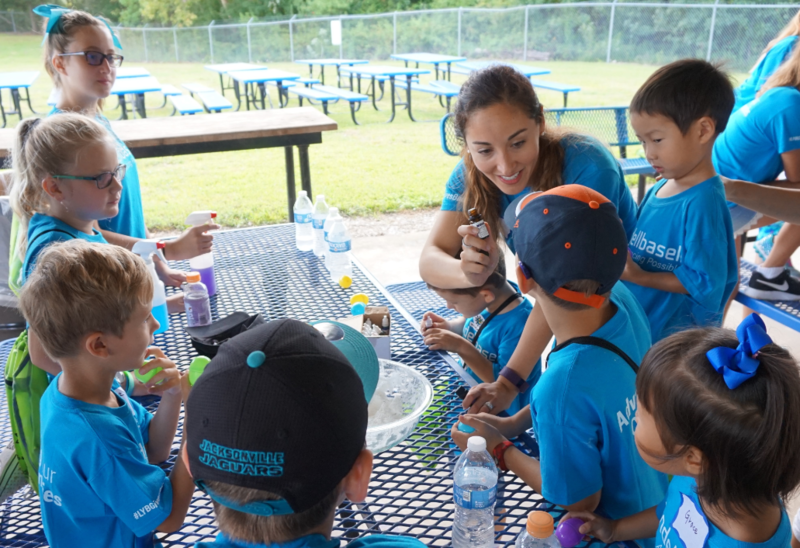 This year, about 1,000 volunteers from Houston-area sites cleaned up, beautified and revitalized several parks, lakes, recreational facilities, roads and a cemetery while also collecting food for the needy and making toiletries for seniors. 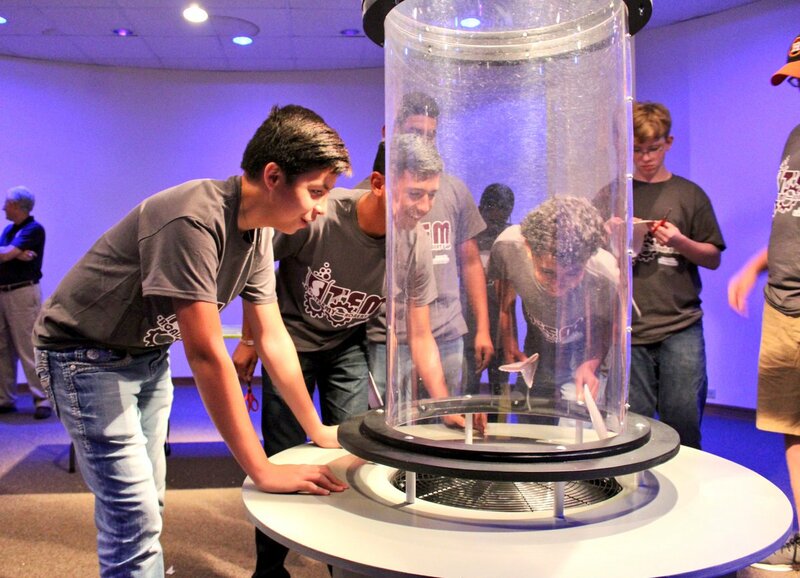 Twenty-eight STEM Academy Summer BRIDGE Camp freshman from Goose Creek Consolidated Independent School District joined Covestro employees to learn more about the industry at 12 New, the Texas Energy Museum and Art Museum of Southeast Texas in Beaumont, Texas. Students took a guided tour to learn about the fascinating world of petroleum science by walking through giant molecule replicas, watching distillation exhibits, exploring offshore drilling and experiencing a replica of refinery production. The field trip is a collaborative effort with the school district, the Texas Energy Museum and the Art Museum of Southeast Texas. 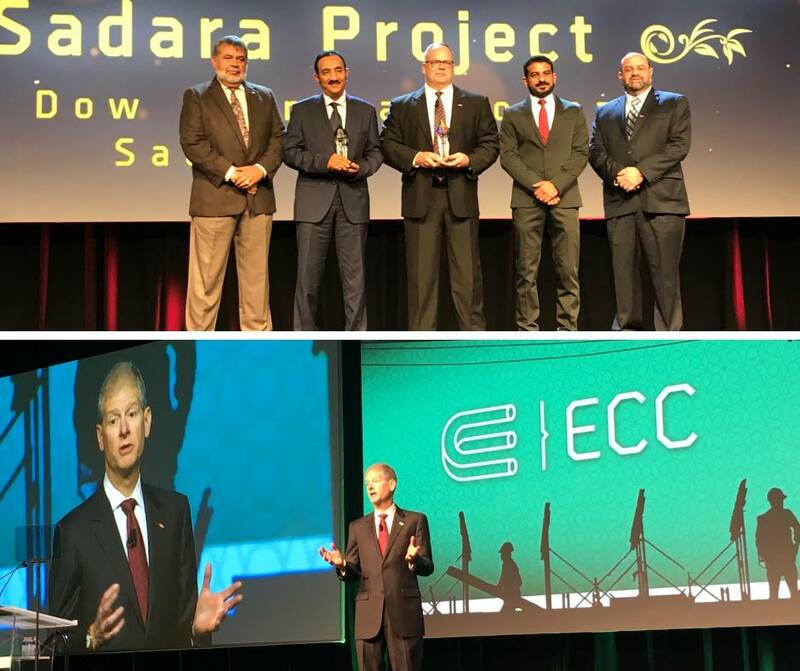 Dow was recognized with the prestigious Spirit of ECC Award, presented at the recent ECC (The Association for the Capital Projects Engineering & Construction Community) PerspECCtives Conference in San Antonio, Texas. The award honors organizations that display an exemplary demonstration of a wide array of talents, skills, and passions that encapsulate the ECC mission to engage and improve the industry. Volunteers, from Shell Deer Park, recently spent the afternoon at the Outdoor Learning Center tending to the grounds before this year’s students arrive for field trips. This is their fifth year working at the center, giving back in a way that contributes to the learning of many Deer Park students. 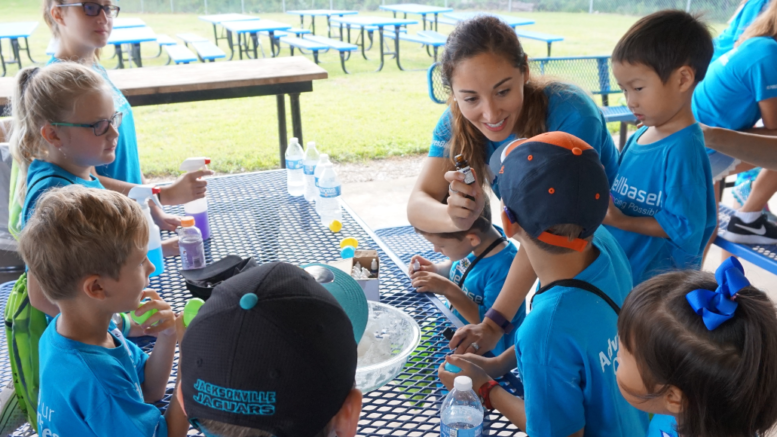 Safety Day was celebrated at the Covestro Baytown site with an exciting, interactive Safety and Health Fair. More than 35 suppliers and vendors attended the fair and were eager to share best practices, demonstrate their latest safety technologies and equipment, and to also share health information, give tips, and deliver vital information for a successful, healthy life. Several of the many vendors included: San Jacinto Methodist Hospital, United Way, MSA, UPMC, SafetyRX and the Houston Area Safety Council. 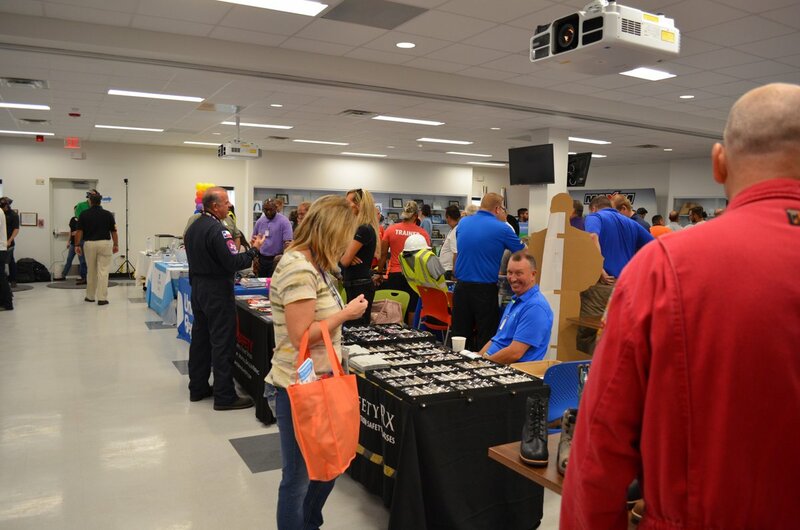 The Baytown Safety and Health Fair was attended by more than 800 employees and contractors. On August 6th, Dow Houston Hub achieved three years Level 1 and Level 2 injury free performance. This means they have gone three years without a serious injury at Bayport, Deer Park, La Porte and Texas City. Dow continues to passionately demonstrate a ‘Safety First’ attitude through reporting and investigating potential injury-causing events and process safety near misses, using and believing in procedures and looking after each other. Each year Covestro has a United Way Campaign to raise money for the United Way of Greater Baytown Area & Chambers County. For Covestro, the United Way is about giving back to the community. This year focused on participation at the site and had a baseball themed campaign. The site’s employees raised a total of $411,165 and reached 96.7% of their monetary goal for the year. 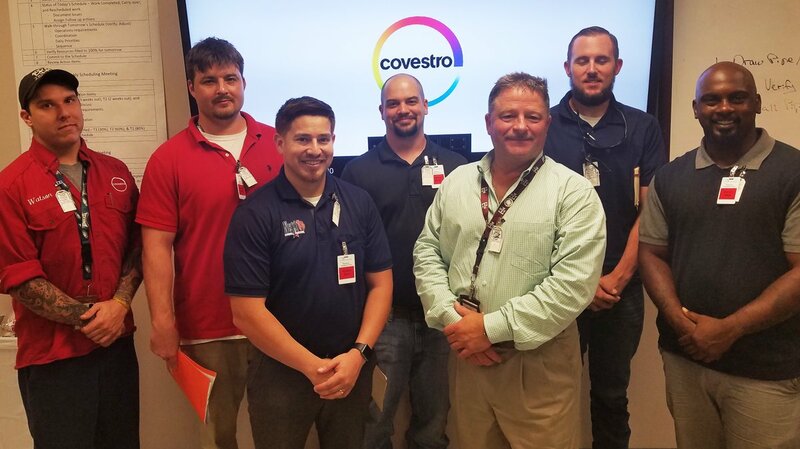 Covestro Helping Armed Military Personnel (CHAMP) hosted the second annual “Day in the Life of” event at the Covestro Baytown site, in partnership with NextOps, Austin Industrial and TEPCO LLC. The event introduces veterans to available positions in manufacturing plants and to individuals performing those exact jobs. Due to “Day in the Life of”, multiple veterans are in the process of being hired. 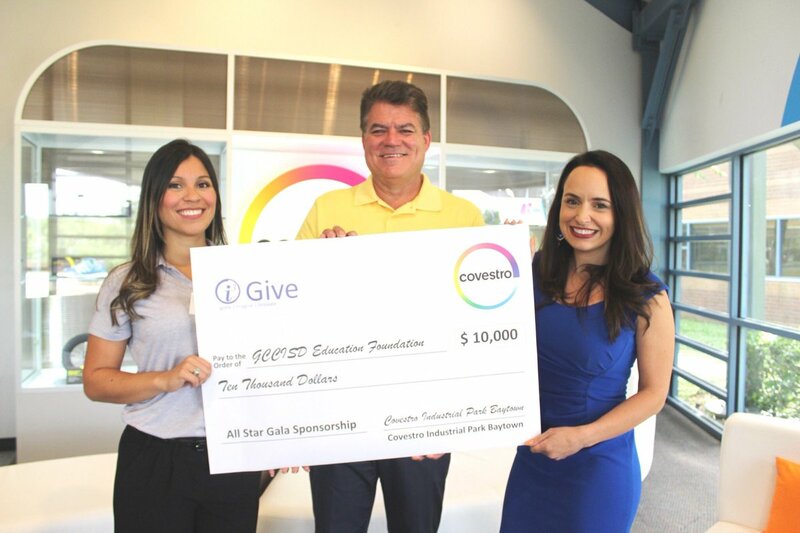 Covestro Site Manager, Rod Herrick, and Head of Communications, Jennifer Walsh, presented a $10,000 donation to the Goose Creek ISD Education Foundation All-Star Gala that will benefit the educators of the district. Walsh is serving as the gala chairperson. Teachers from the Greater Houston Area had the opportunity to tour the Cleaner Energy Brighter World Exhibit and listen to Head of Communications, Jennifer Walsh, speak about the importance of sustainability and STEM programs in schools at the Texas Chemistry Council Science Teachers & Industry Workshop. Covestro Baytown had the SkillShare Volunteer program where teams of employees partnered with a local non-profit for three months to use their business skills to solve issues such as: data security and communication review at CASA, data and cost analysis projections/inventory tracking for food pantry at Life to Live and KPI dashboard and marketing analysis at Bay Area Homeless Services. 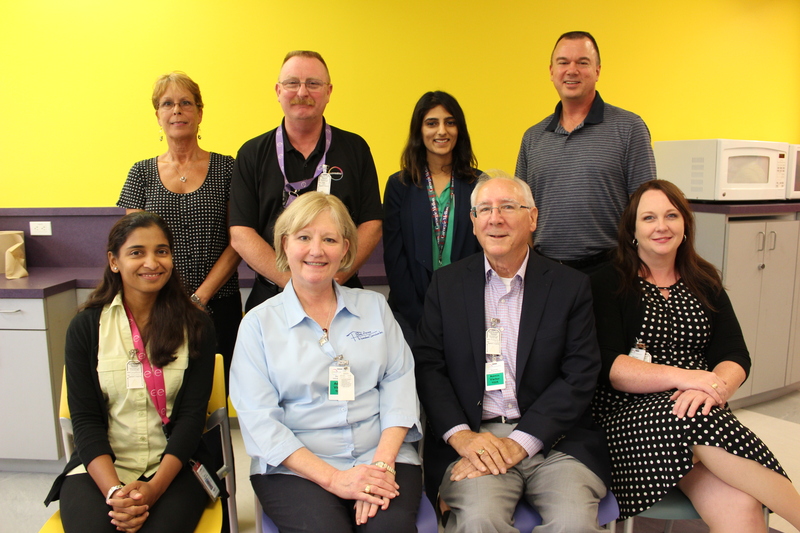 Employees utilized the Robert Morris University Covestro Center for Community Engagement in an all-day training session to help better understand how to serve non-profits.